“Thanks for coming into my life and helping me deal with Parkinson’s Disease. I was diagnosed last year after my fifty-ninth birthday. I was a couch potato for my whole life. 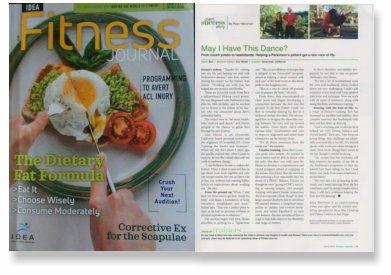 My doctor recommended eating better, exercising and dancing. All three of which were low on my priority list. Your coaching and workouts have helped me with fitness, balance and overall health. Your focus on doing things that challenge me physically and mentally is terrific. We started slowly with workouts while sitting in a chair. Now we do things that I never in my life thought I would be doing. I’m certain that your workouts will help improve the quality of my life as my Parkinson’s progresses. In fact, my friends have been telling me that I look better, and aside from some symptoms, I do feel better! My wife did a lot of dancing in her youth and I hated dancing. Now she has a bad knee and I’m doing complex dance steps. I still have problems keeping the beat, but I’m dancing! Feel free to share this letter with prospective clients. I’m happy to talk to anyone about how you have improved my life! 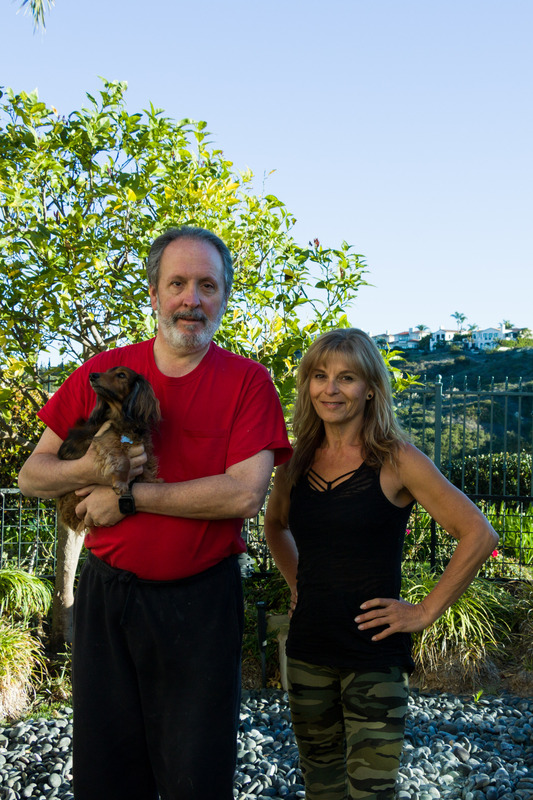 When I met Bert, my focus was to get him ‘inside his body’ and begin a foundation of body awareness, mindfulness and form.This was a perfect place to start, as he had no previous workout or physical experiences to reference. We concentrated on chair work ~ specifically Grounded visualizations involving placing his feet in 3 inches of melted chocolate or whatever similar consistency they imagined and letting it ooze between the toes and close over the ankles and SET, so that the soles of the feet are fully Grounded. Working upward to a 90 degree angle at the knee over parallel, hip width apart feet, and feeling the back of the thighs on the chair with the tailbone and shoulder blades pressed against the back rest. This allows the back to peel onto the back rest and extend. The next visualization is pulling up a zip from the pubic bone to the end of the chin and keeping it flat. Next is putting on a corset and tightening each string while allowing the shoulder blades to relax and depress * feeling the abdominals contract as a result. Finally, we place a crown on our heads (of our own design, that can become a conversation subject in a group class setting) that becomes an awareness of posture and proprioception and includes imagination and fun. Awareness from the inside out. For variety, we would practice musicality by marching to music that Bert enjoyed, forward and back, or with a 1 2 3 tap or knee. It helped to created a pace and sustaining this increased his endurance and started the process of working to the beat. Progressions included step touch into step together step touch and grapevine. Squats and lunges were next, using the hands on the knees to provide stability and assistance and create the LeverAge ‘muscle memory’ for the next progression of adding resistance. Working with weight and elastic resistance also added variety and ideas for when Bert was out of out and could pack a light rubber band. It should be noted that Bert always worked out at home and was never a gym goer. Back strengthening in the form of work on the hands and knees extending one limb at a time and ‘short lever’ planks quickly built up enough strength for Bert to begin perfect planks. Important, as he spends considerable time in a chair. Flexibility has always been paramount in every client’s programming, and perhaps this could be one of the challenges we faced in the beginning, however this has improved significantly! In the same position, simply press into the foot on the BOSU and straighten that knee then land lightly on the foot that left the floor again. Perform these to half tempo and tempo. Progression can be ‘over the top’ which would involve simply changing feet on the BOSU. Variations include the “over the top hop” which gets the heart rate up fast – perfect for intervals. I also use the BOSU with all my clients for simple ‘bouncing’ while sitting on it. This stimulates the lymphatic system and it’s Fun! It also illustrates and differentiates where the movement originates using the soles of the feet, or the using elbow to hand lever with palms UP (flap) to initiate the movement. Using resistance bands helps to educate the client about direction of pull, empowering them to utilize bands while they are out of town. We do unilateral work with one or both handles, performing rotations with flexion in full body movement and of course the favourite arm curls while standing on the centre of the band holding both handles – however my main cue for this would be to feel as though you are tucking a newspaper under each arm firmly as you bend the elbows. A Hoola Hoop is a fun challenge, using the drills to hold it and circle it in front and on the side of the body with one hand – then the other and then a smooth hand to hand transition. These drills focus on keeping both hands occupied so that the tremors are reduced. We are still working on getting it to circle around the waist consistently. Periodically I will bring my Jumpsport trampoline and Lebert Bars for variation. Starting with pushing on the Grounded feet and feeling how that initiates the movement, and then stopping the movement while Grounded. Then STOPPING. Then initiating the movement from the elbow lever, palms up. On the feet: Bert doesn’t leave the trampoline, rather staying Grounded and bouncing gently – feeling centered weight and also stopping. Presently we are working on an arm balance on the Lebert bars and I cant wait to post a video of that one! Since I started doing yoga, and realizing how critical it is to maintain the Range of Motion in every joint of the body as long as possible, there are many yoga moves that I incorporate into training sessions with all of my clients. I find the Lebert Bars incredibly helpful for placement and alignment in poses, assistance in balance and all types of arm balances and inversions. They also facilitate establishing setup in muscle memory that can be accessed when the bars are not present – just like the CoreFist. Another critical piece is Focus. This is ‘trained’ by practicing balance poses and making tiny adjustments throughout. I couldn’t be more thrilled with how Bert is performing some of these basic and advanced flows showing evidence of flexibility, strength and endurance gains and all the wonderful benefits of Inversion! The latest tool we have added is a pair of David Weck’s Pulsars that we are still discovering. Lastly, as I mentioned – there is the Frequency Therapy which has been used for almost a century already and as always I am constantly searching for ways to share knowledge in order to educate my clients to a better lifestyle and to Change The Way They Age!